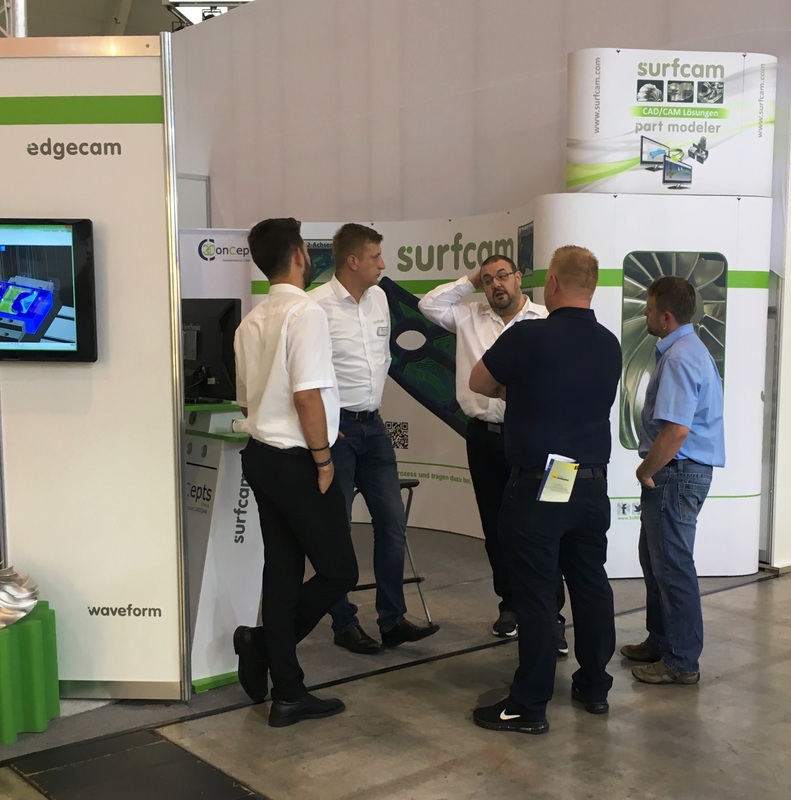 The Moulding Expo has opened its doors for visitors from 30th Mai – 2nd June 2017 in Stuttgart. 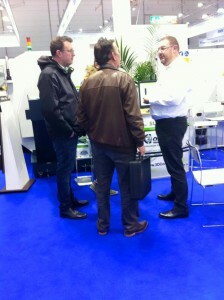 On our stand D17 in Hall we have informed our customers and interested parties about new developments. 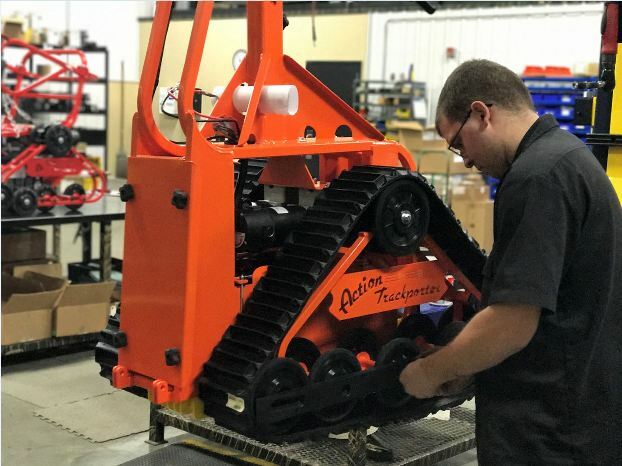 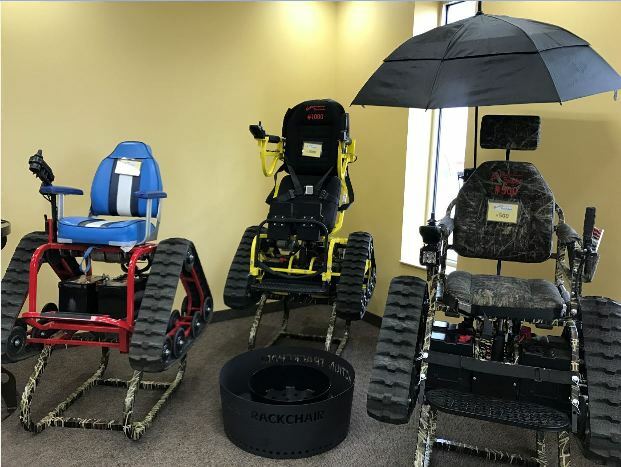 Action Manufacturing uses Radan and Radbend to manufacture its custom line of Action Trackchairs. 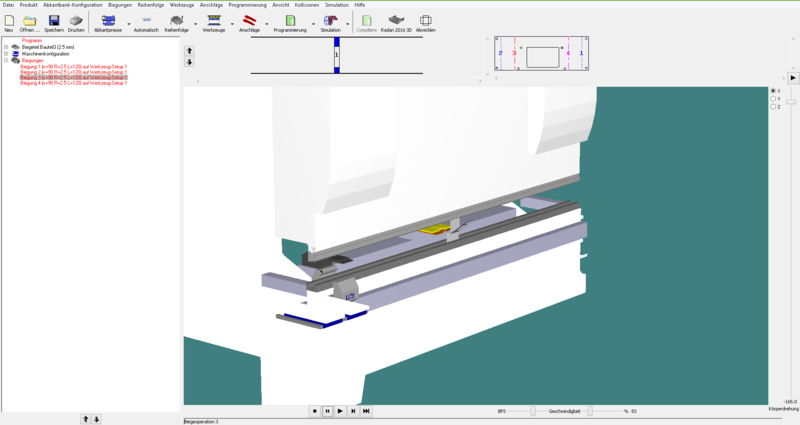 From 14. 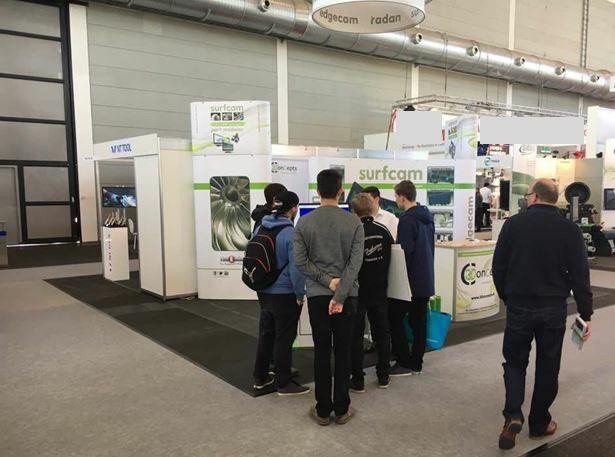 – 17. 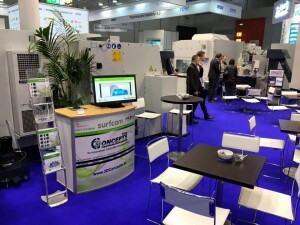 February 2017 16 – 17 June 2016 was the Turning Days Süd in Friedrichshafen. 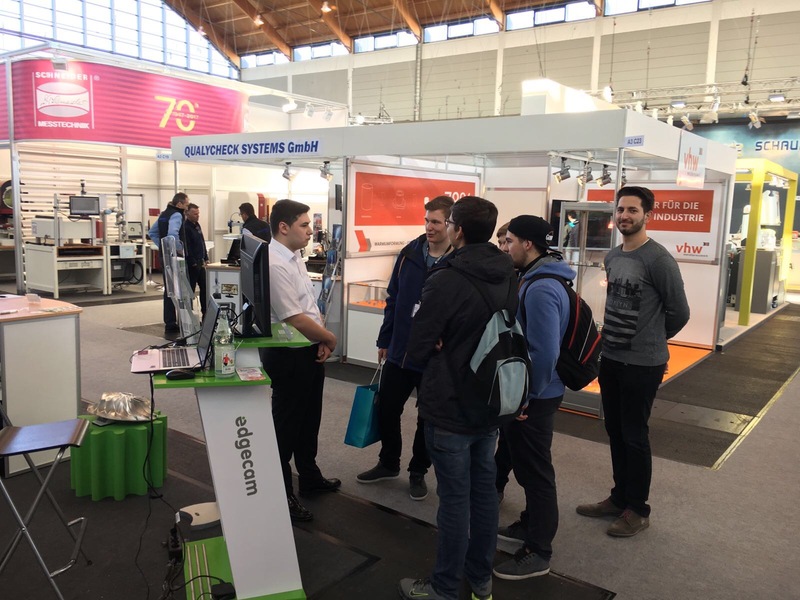 There was a high influx of interested persons. 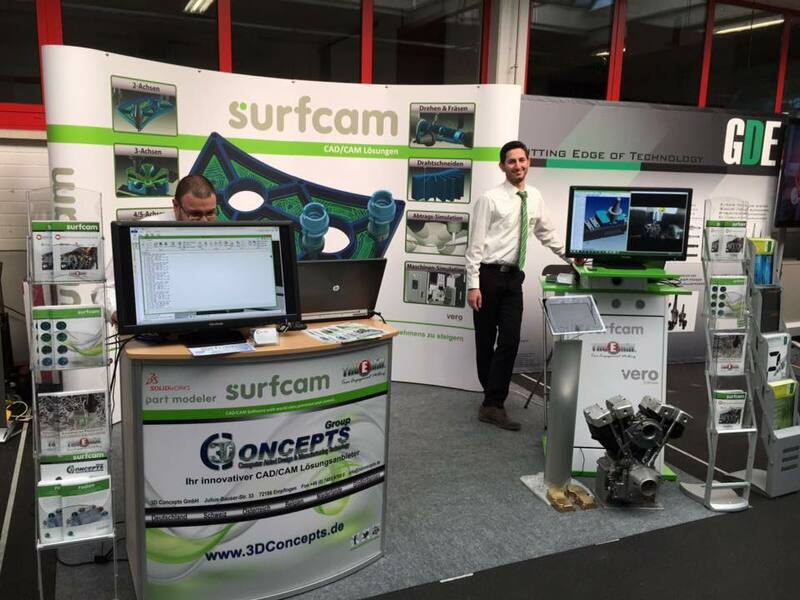 And also we were on the ground and have informed numerous customers about our software SurfcamEdgecam. 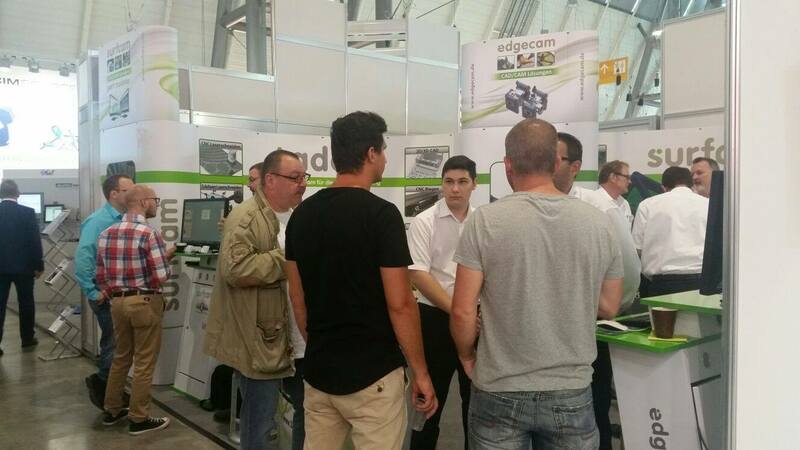 For you, we were on the i+e Industrial fair to present you Edgecam. 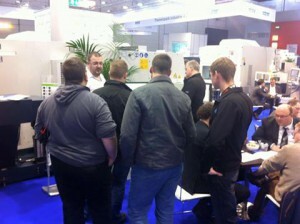 Many customers and interested people were there and got informed. 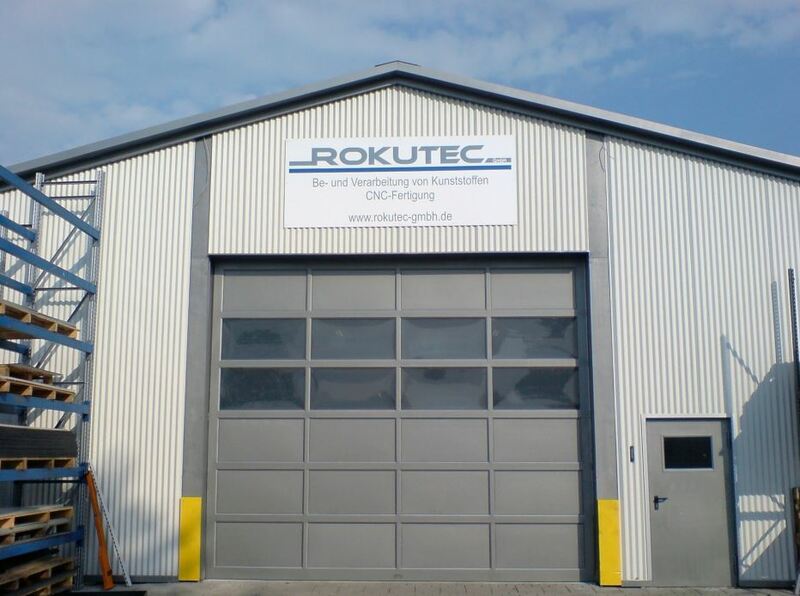 Thanks to the cooperation with our valued customers, the company Rokutec, we have the opportunity to be able to take advantage of the new training center now. 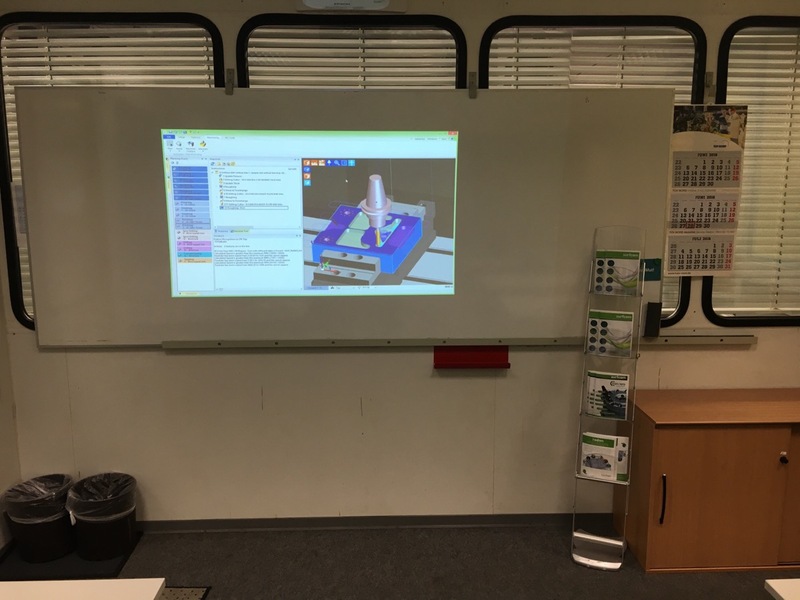 So we can offer our custumers from the surrounding area a shorter route to the individual trainings. 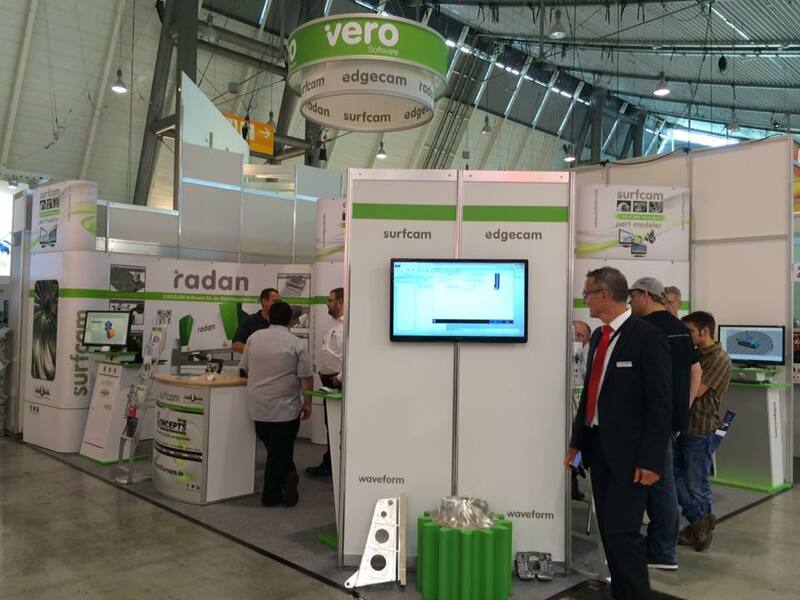 EuroBLECH – 24. International exhibition for metal working – took place from the 25th 29.10.2016 in Hanover. 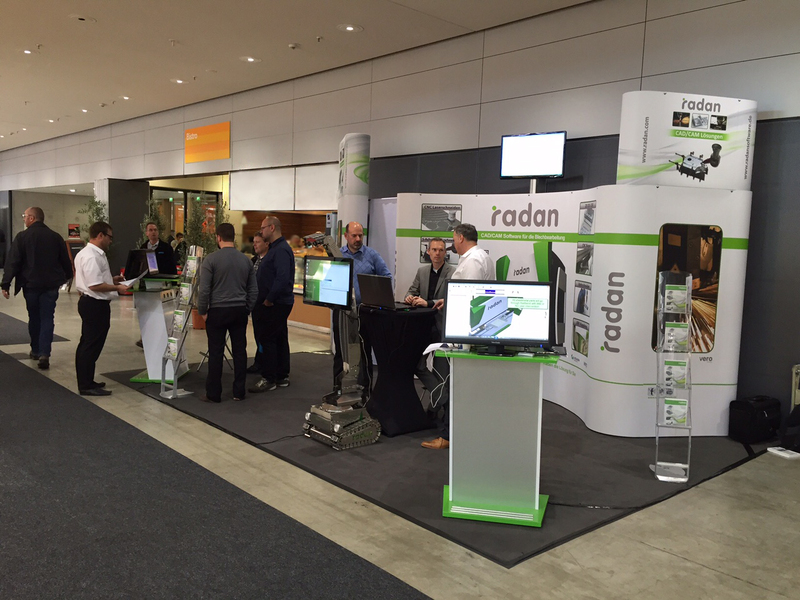 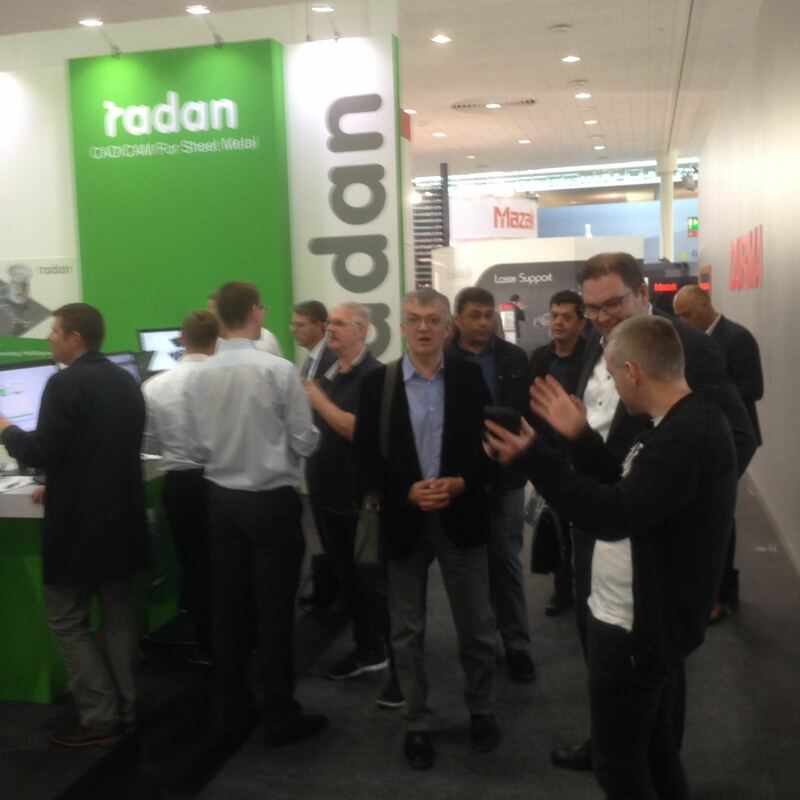 Full halls, happy faces and especially the Radan stand J41 in Hall 11 seams burst. 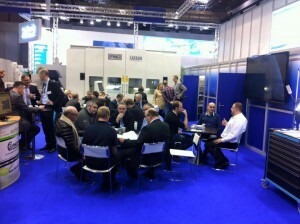 Many customers and interested people were there and got informed. 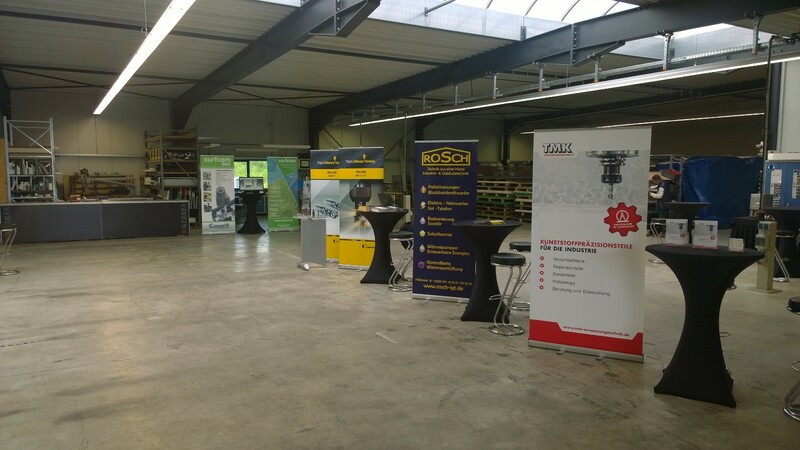 The AMB has opened its doors for visitors from 13–17. 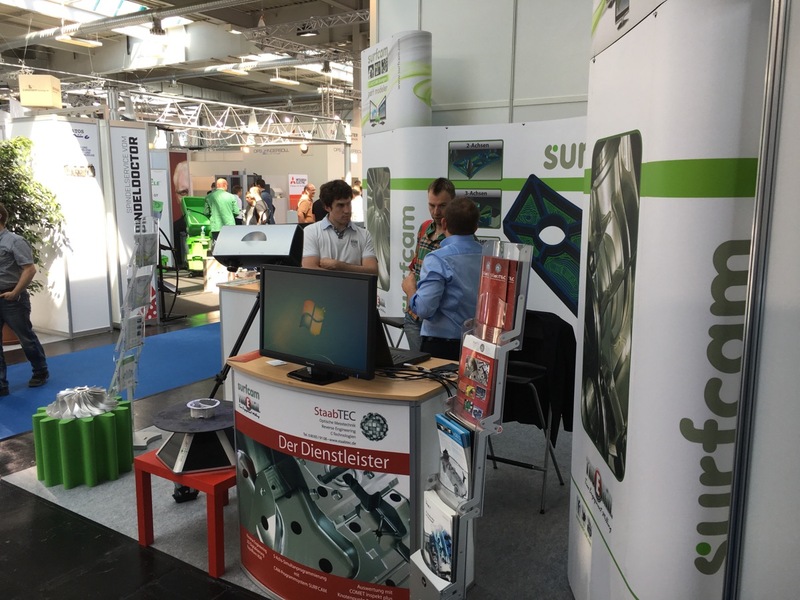 September 2016 in Stuttgart. 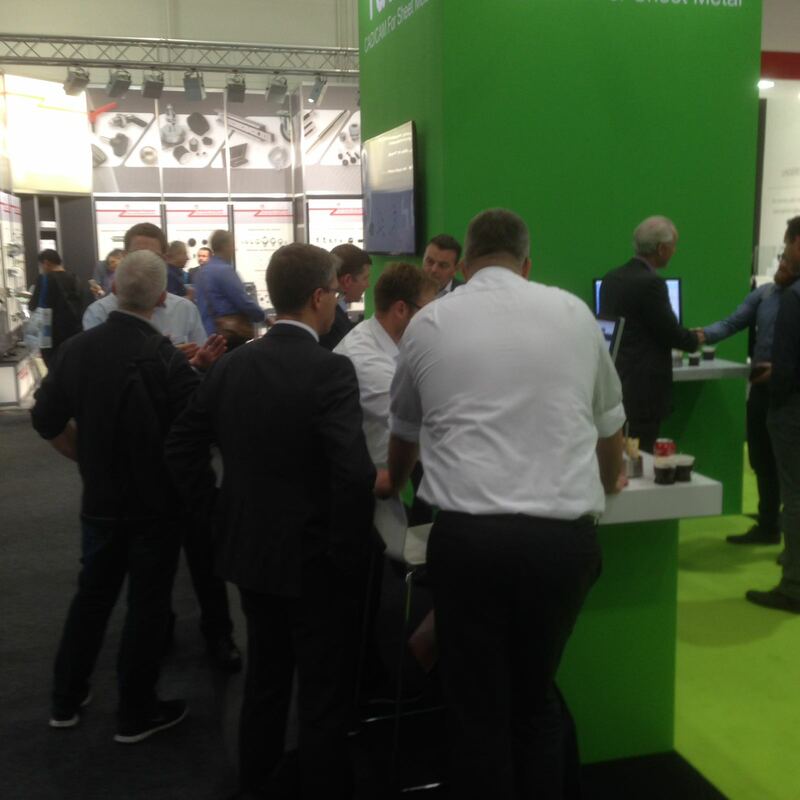 On our stand C58 in Hall 4 was a large crowd of interested people. 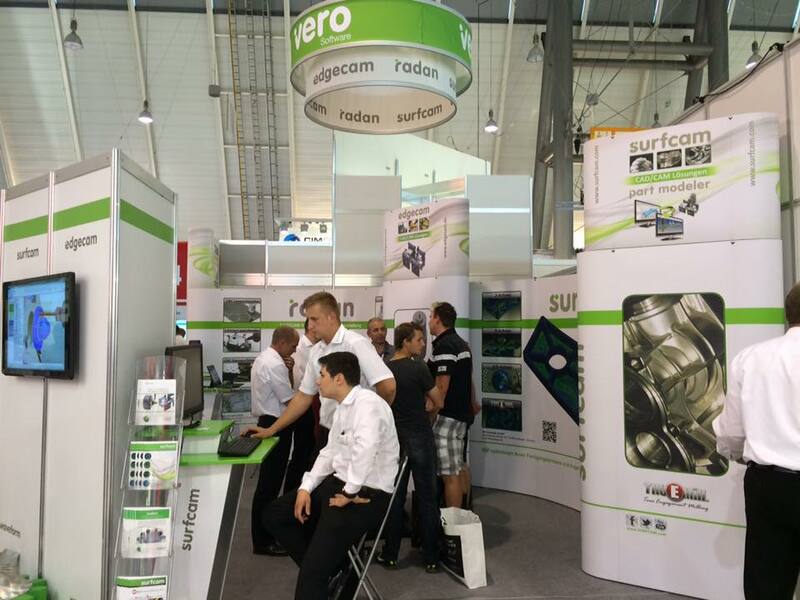 We have informed our customers and interested parties about new developments. 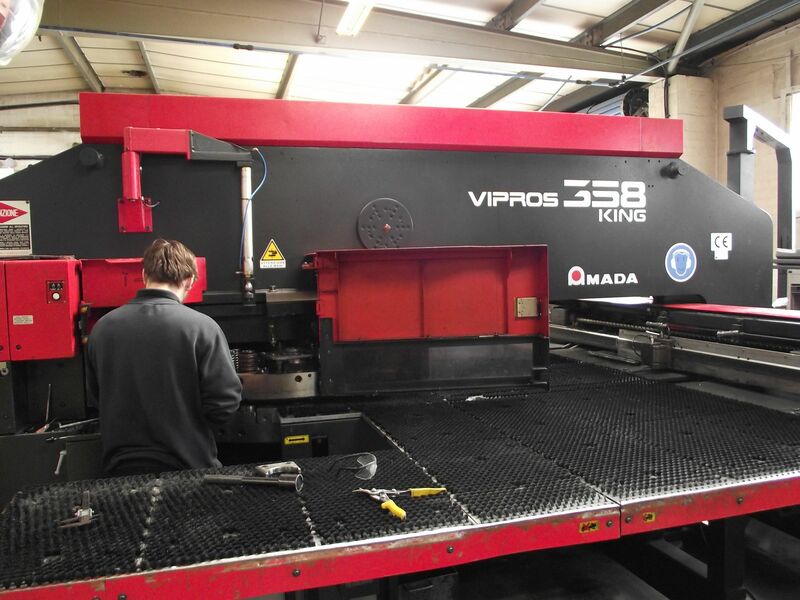 user report company KMF Precision Sheetmetal Ltd. 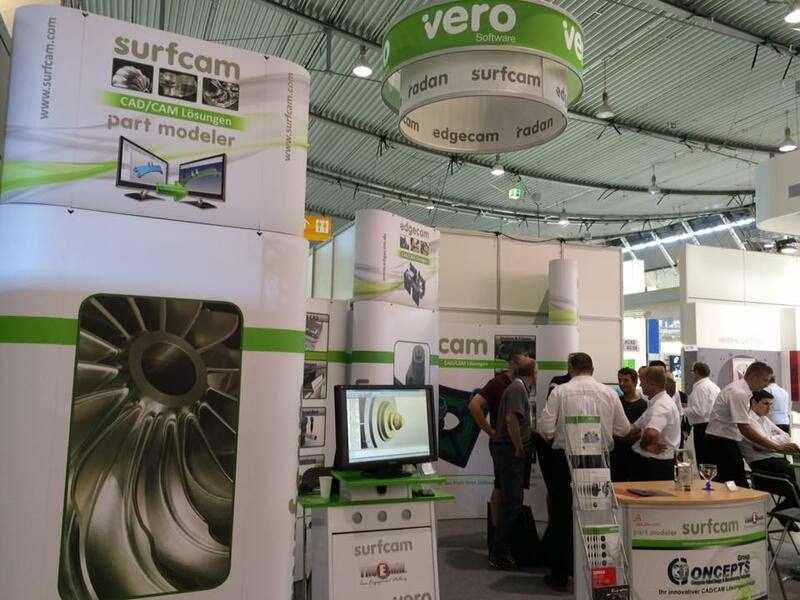 The company Röhrle Stahl- und Blechbearbeitungs GmbH, headquartered in the Stuttgart area, focusing on the manufacture of sheet metal parts for the automotive industry, has implemented the Vero product Radan as CAD/CAM software solution. 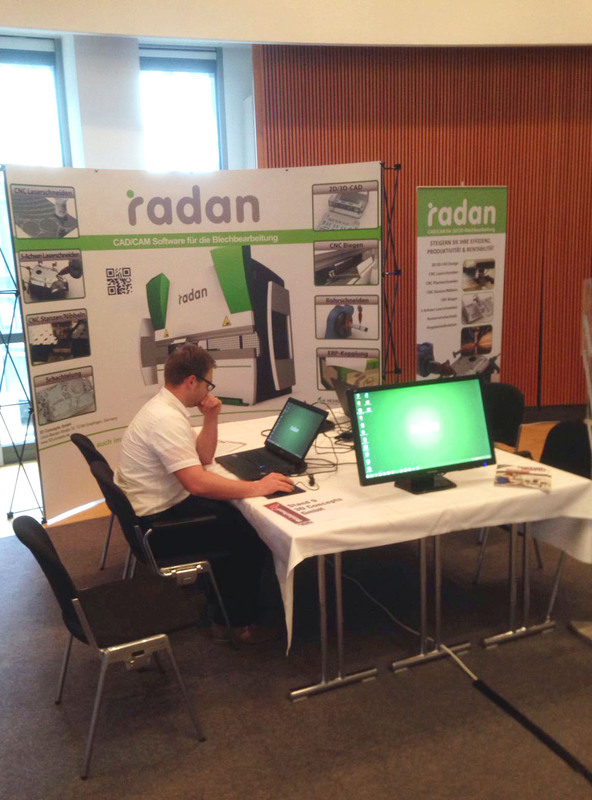 Finally, with the help of Radan also established clientele is now to be extended. 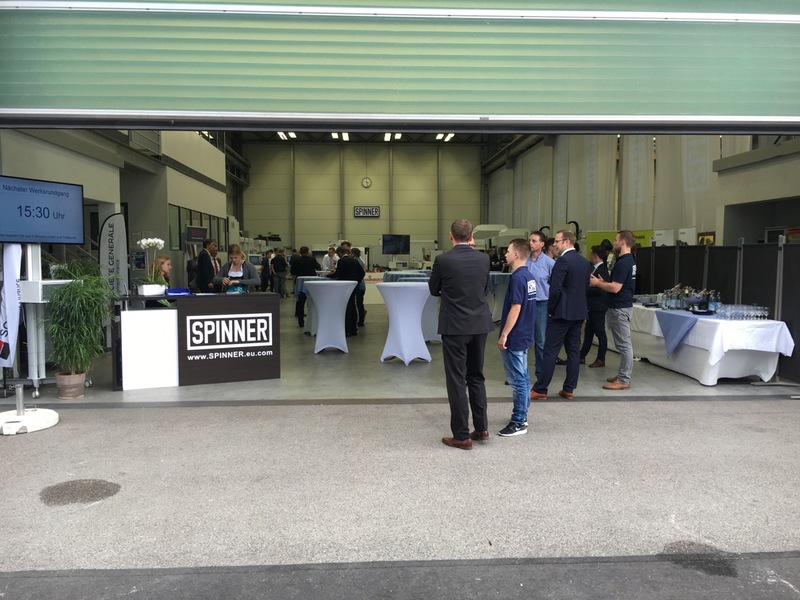 The opening of the new SPINNER showroom took place from 29 to 30 June 2016 in Oberhausen. 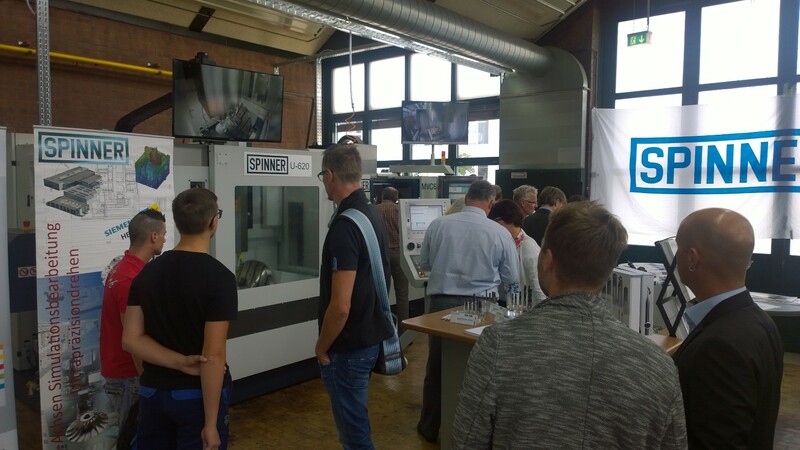 Together with the cooperation partner TÜV NORD Bildung the company SPINNER presented all in all 4 modern machine tools of the turning and milling. 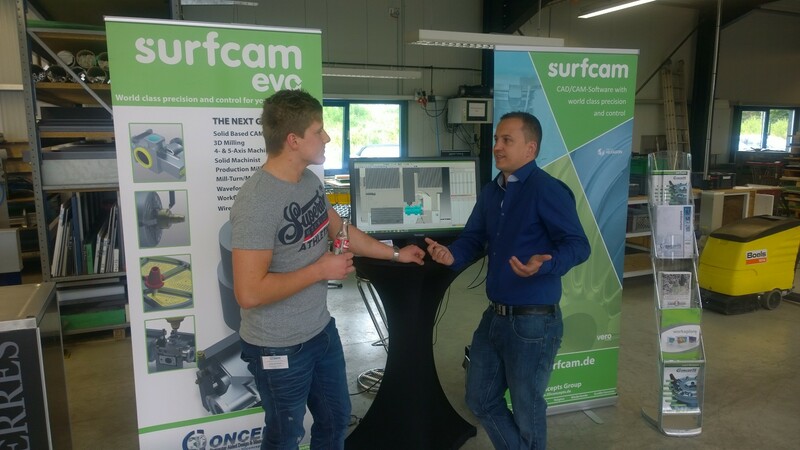 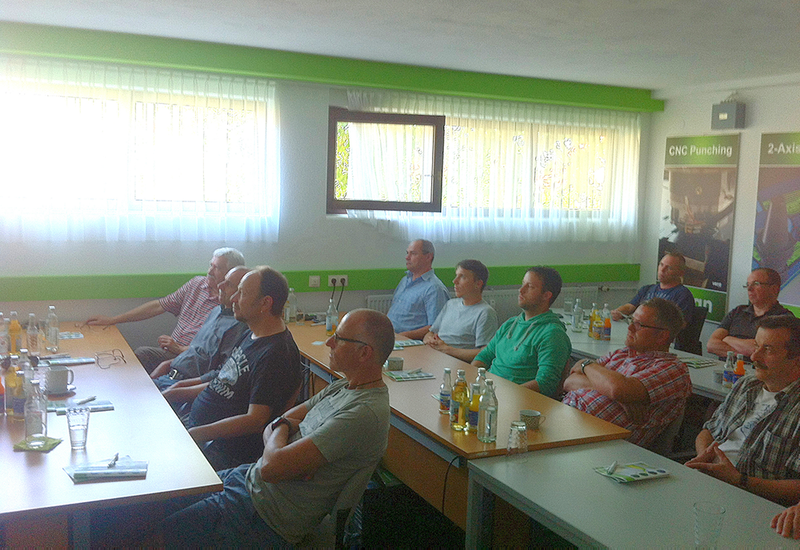 Our employee Mr. Özisik was also there for some questions. 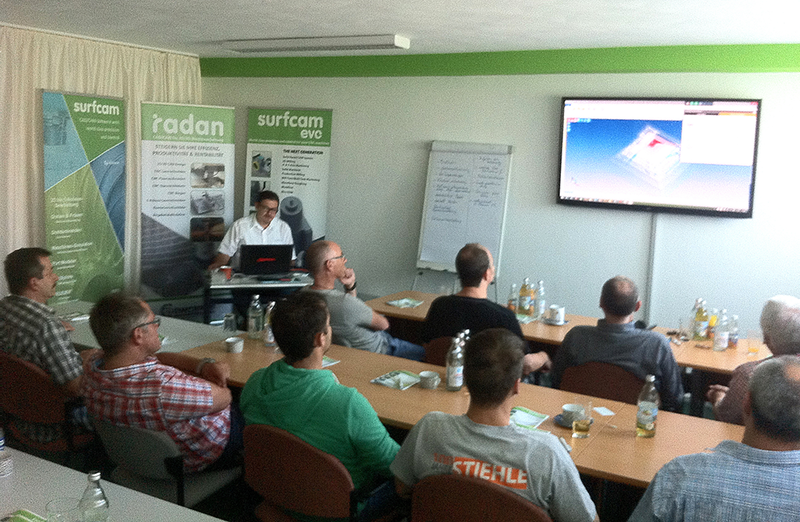 We thank all who were there! 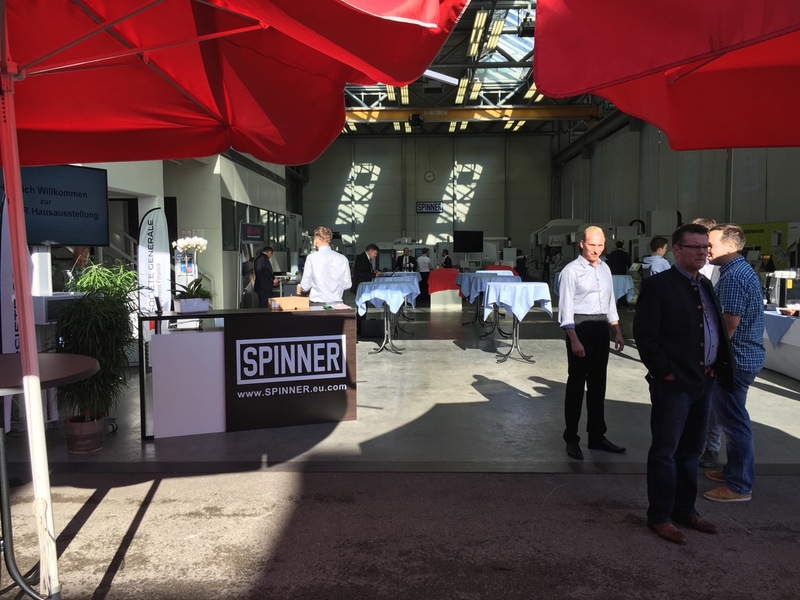 From 16 – 17 June 2016 was the SPINNER inhouse exhibition in Sauerlach. 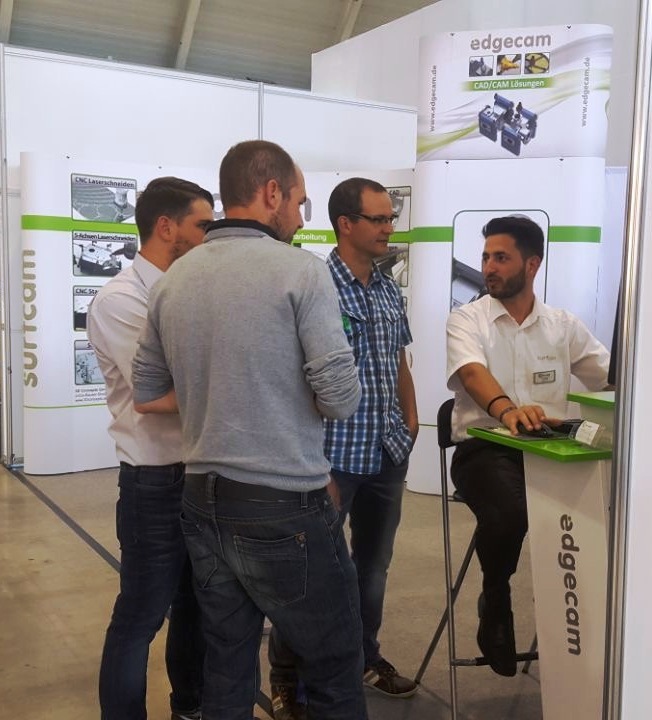 There was a high influx of interested persons. 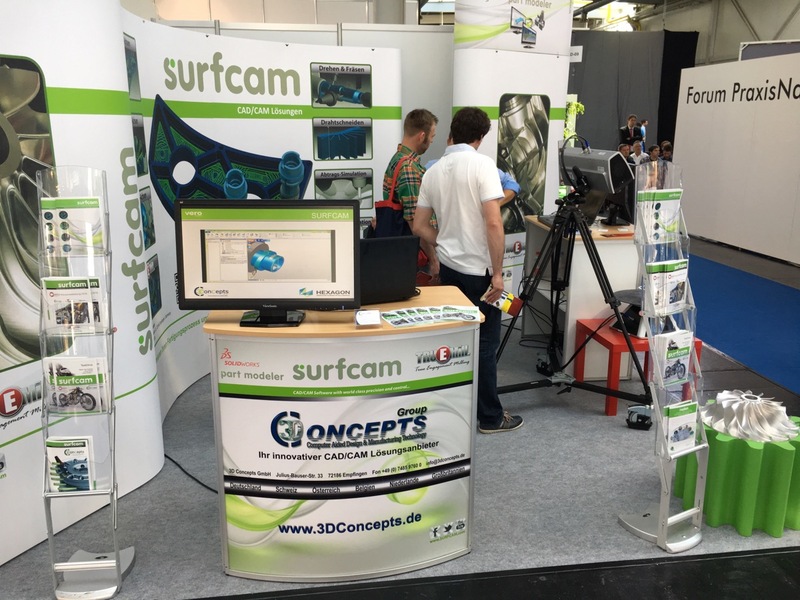 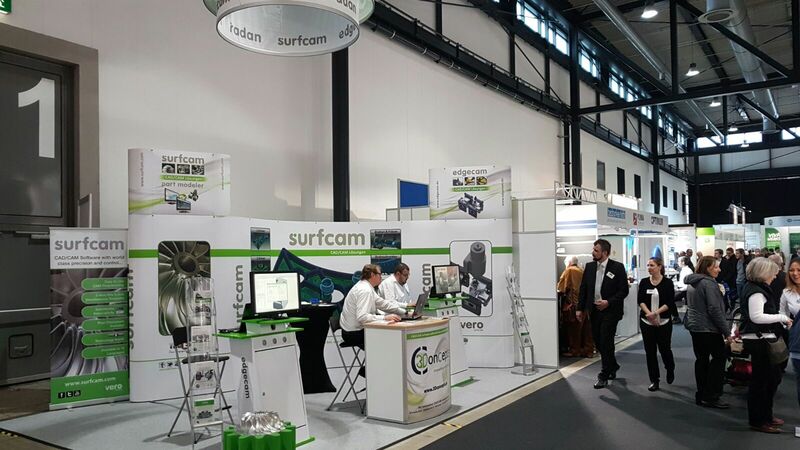 And also we were on the ground and have informed numerous customers about our software SURFCAM. 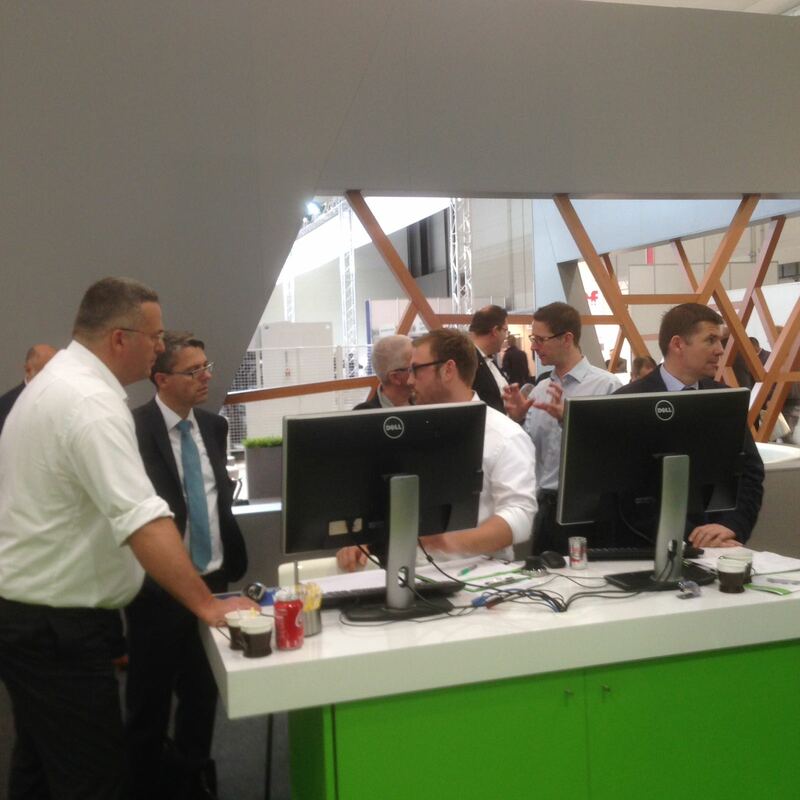 Wfb opened its doors from the 07-08 June 2016 in Augsburg. 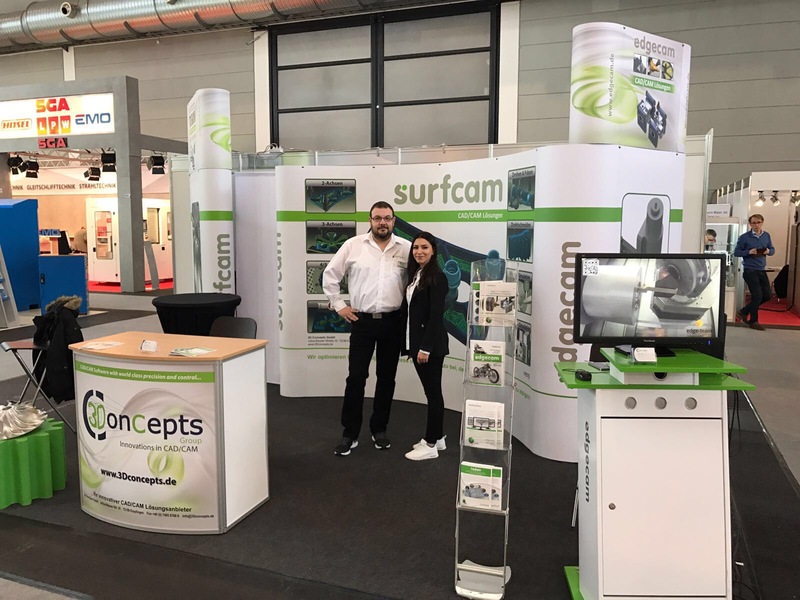 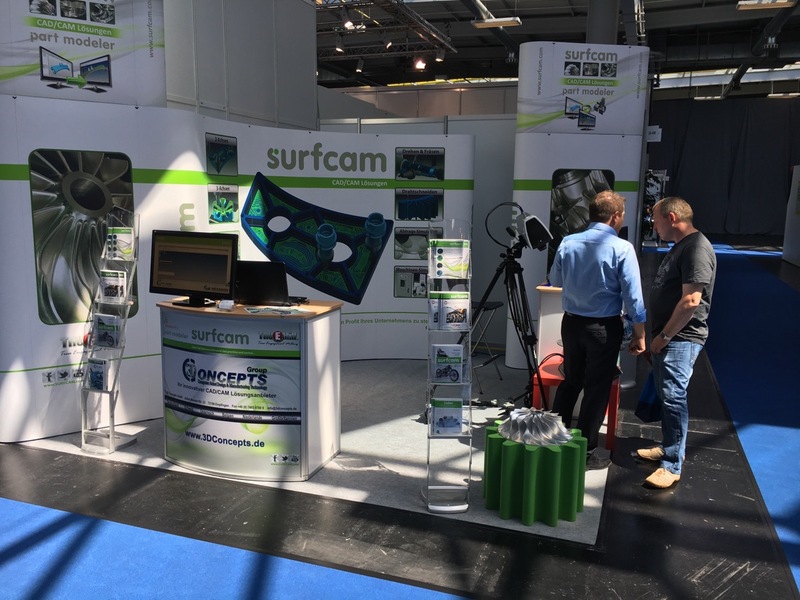 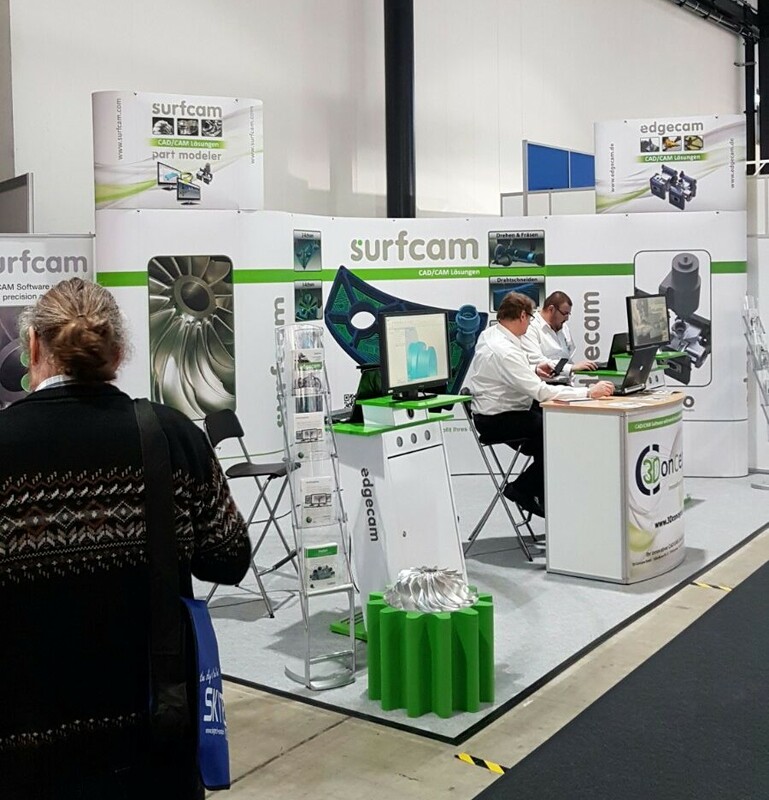 With our SURFCAM booth D-09 we were on the spot and have informed some customers. 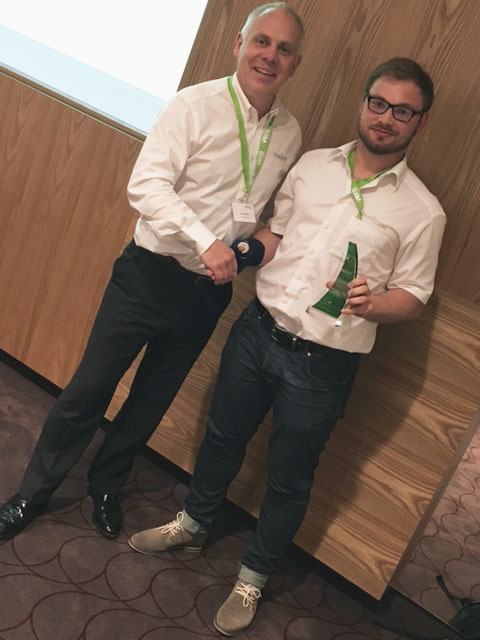 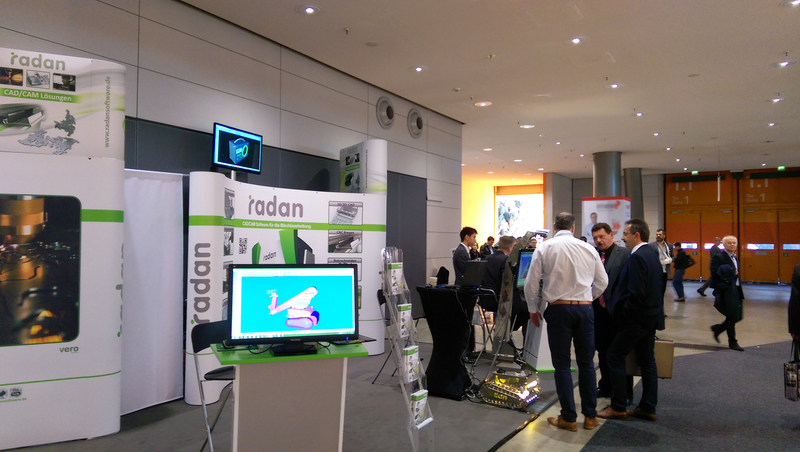 In the context of „Vero European Reseller Meeting Munich“ from 23 to 25 May receives 3D Concepts GmbH the Radan Award „Best New Reseller“. 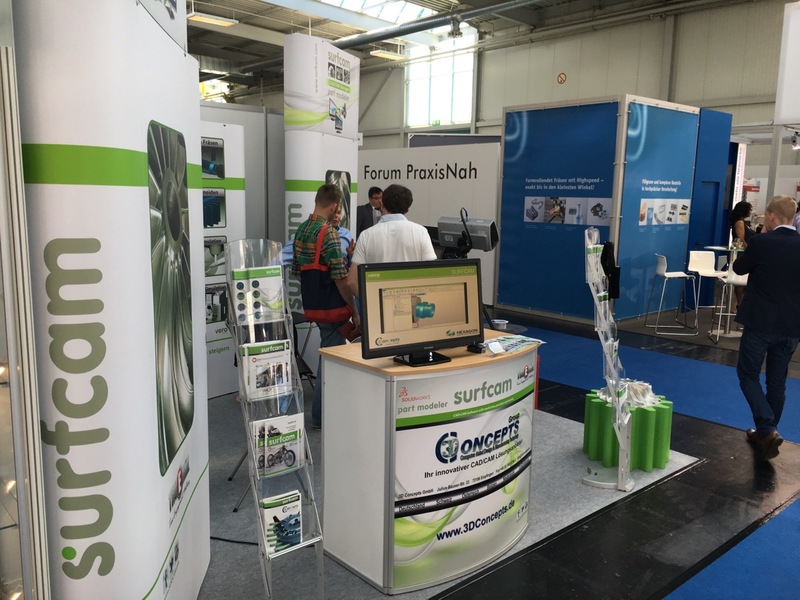 For the first time we take part on the Metallsoftware Süd 2016 on May 12th. 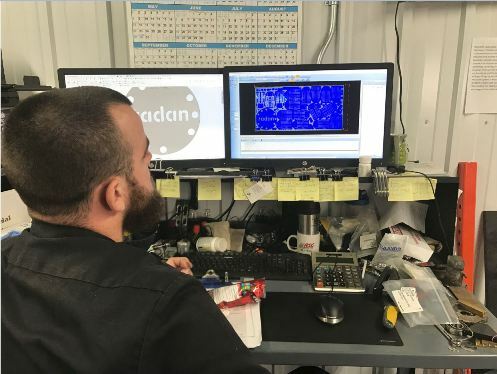 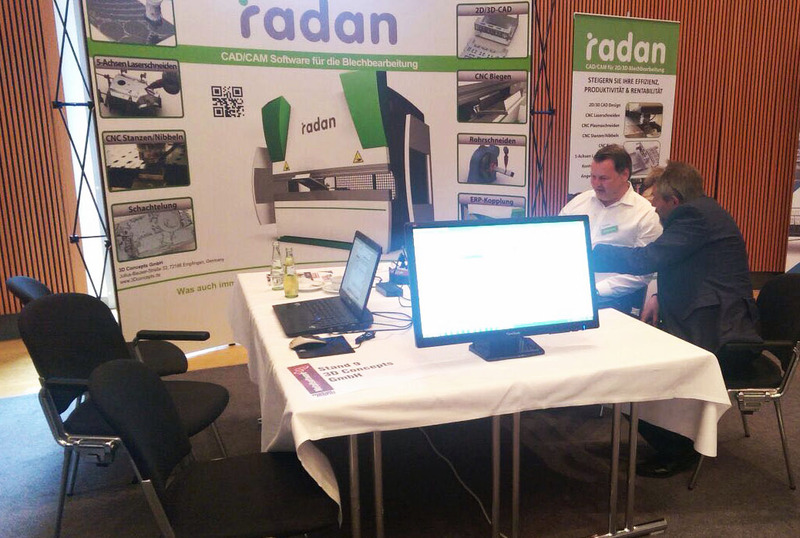 Our two employees informed you about our CAD/CAM software RADAN, for sheet metal processing. 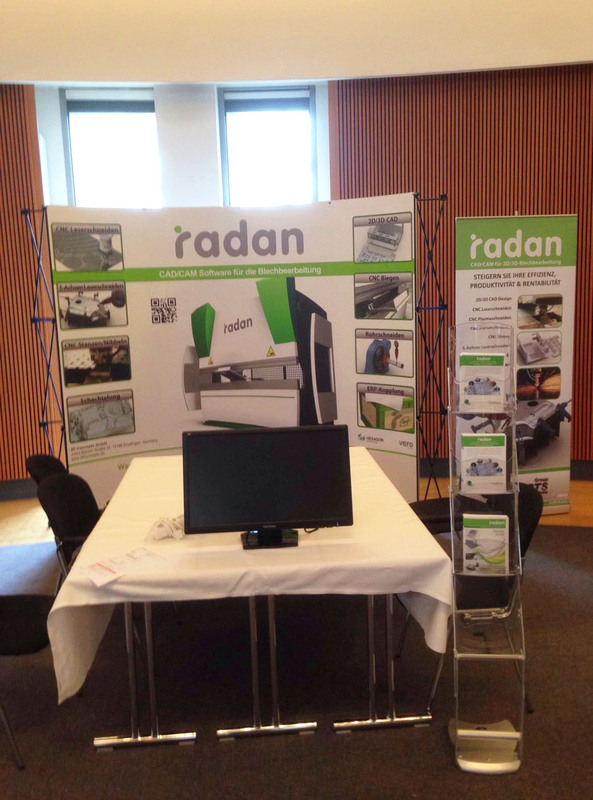 From 20. 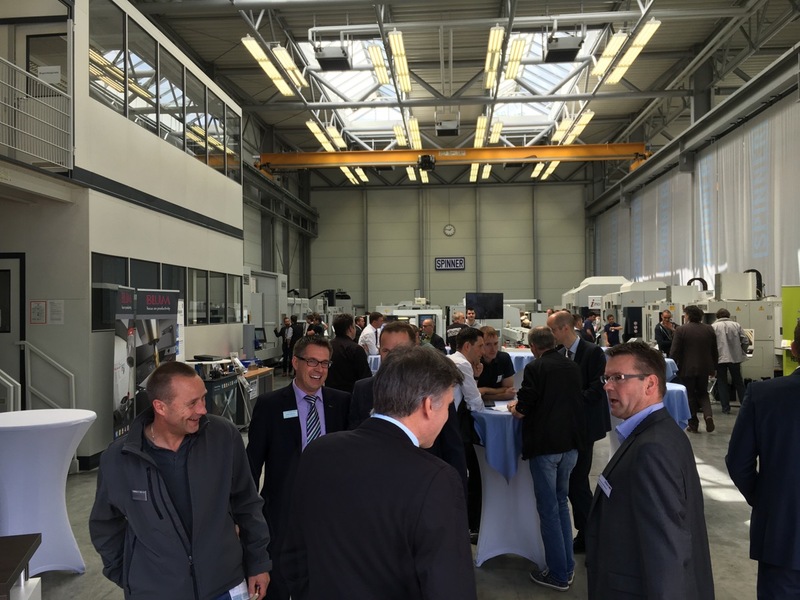 – 23.04.2016 was the Hermle inhouse exhibition in Gosheim. 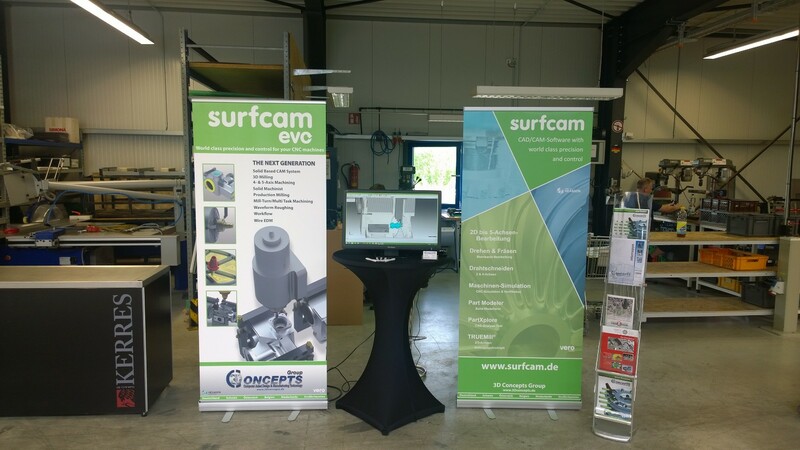 We were represented on our stand and gave an overwiev about the new Generation of Surfcam. 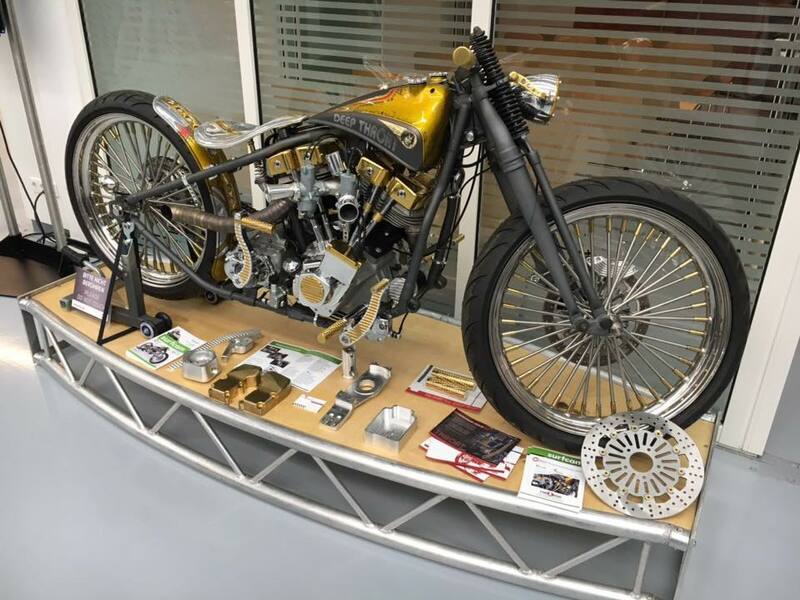 Our bike was provided by Müller Motorcycle. 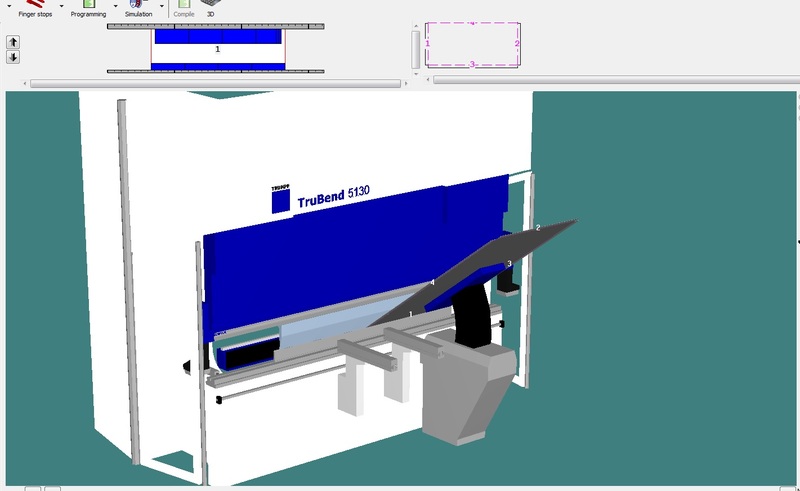 The golden Areas of this unique machine was programmed and produced with Surfcam. 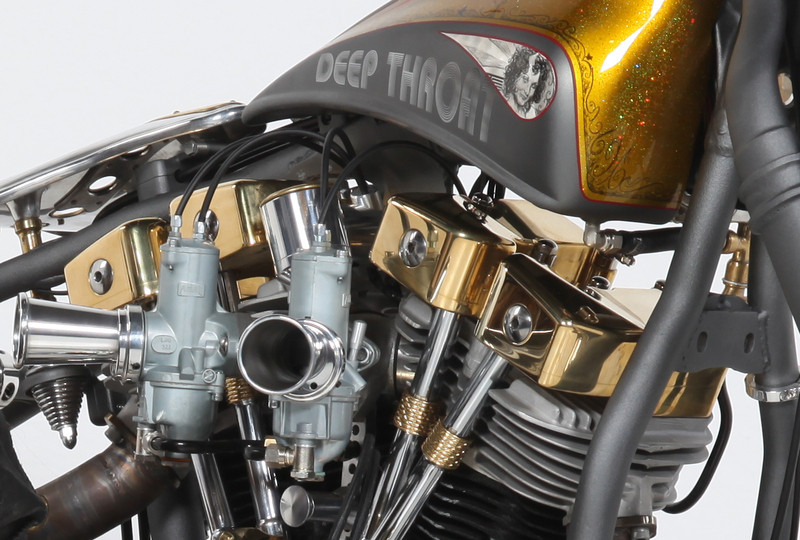 Thank you again Müller Motorcycle for this unique bike. 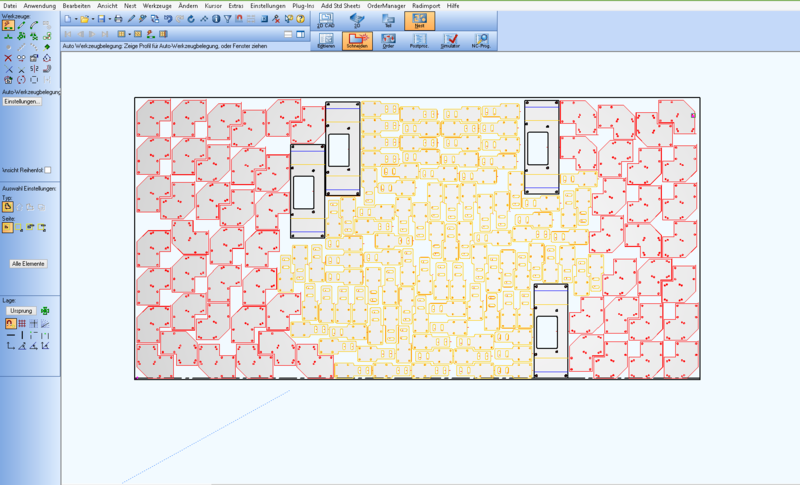 From 22. 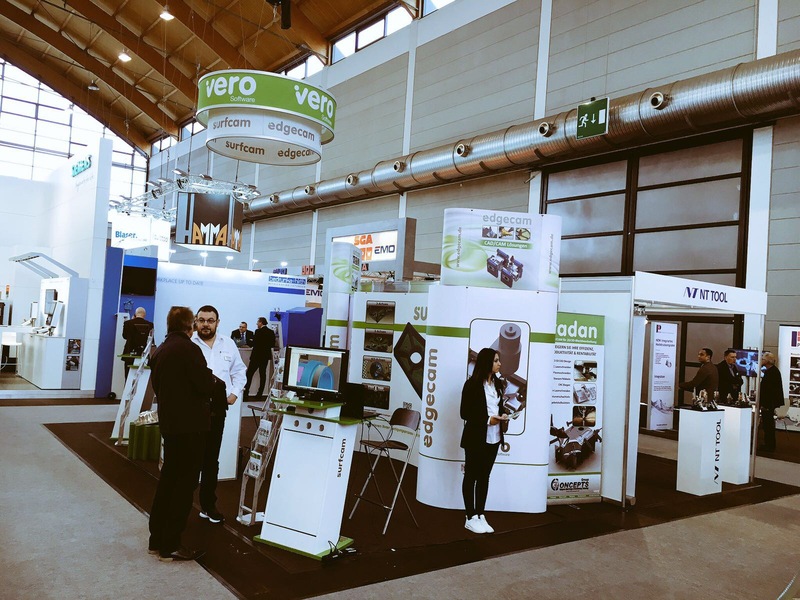 – 27.02.2016 we were represented once again with our cooperation Partner SPINNER at this year’s METAV. 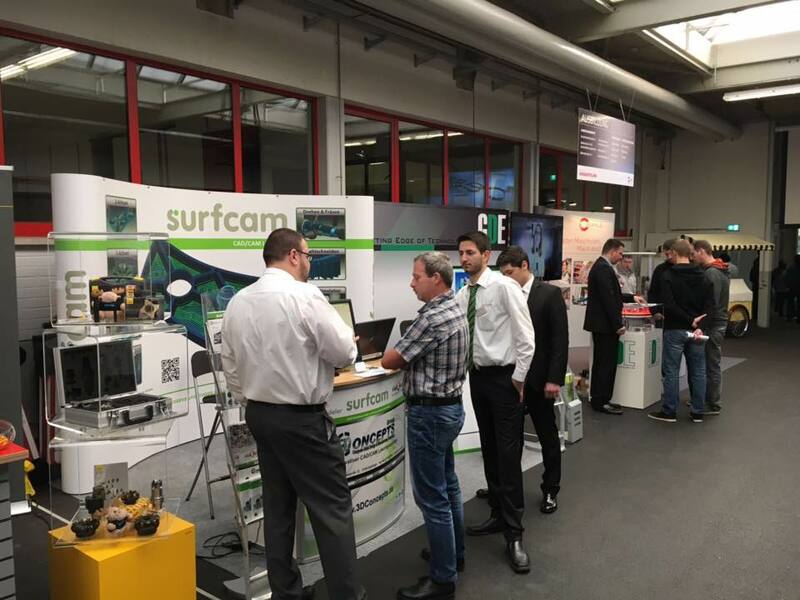 Also this time you were able to get an insight into modern tool technology, powerful machine control, economic machining tools and of course CAD/CAM applications. 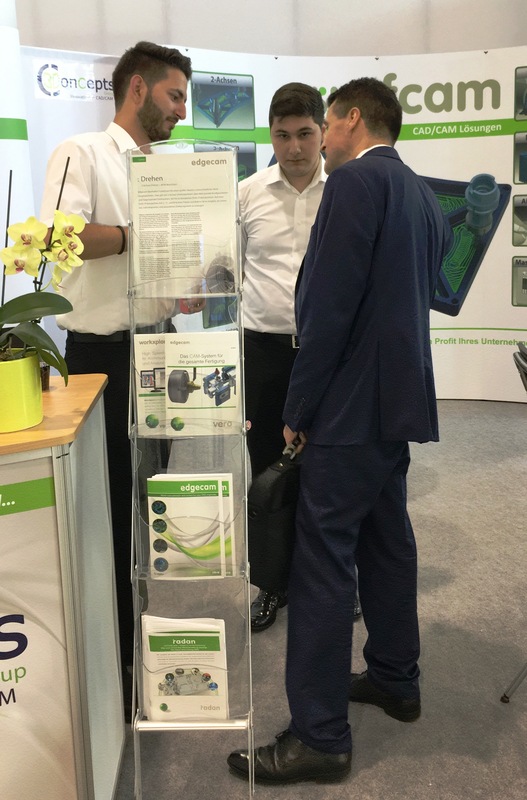 Signing of Gisbert Krämer GmbH from Wuppertal on the METAV 2016. 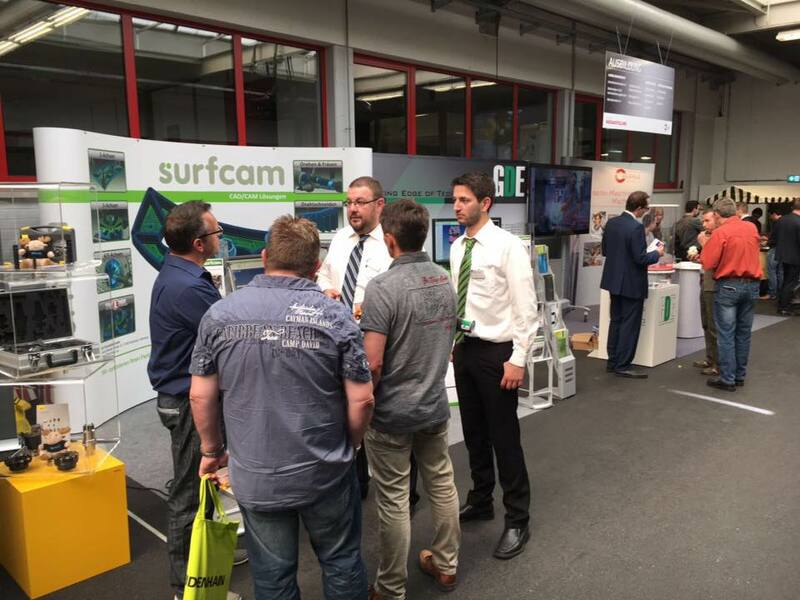 Many interested people who were at our booth to give advice to the new generation of Surfcam. 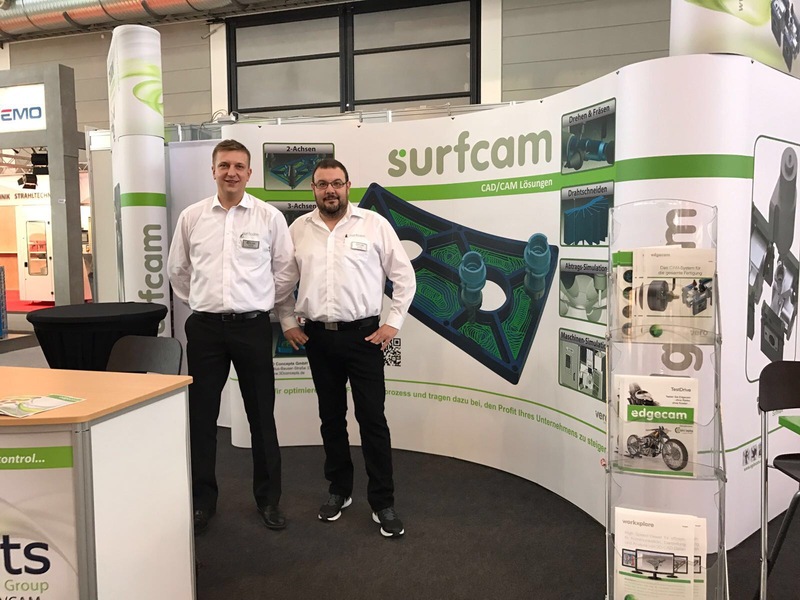 From 03 – 06 November, you could visit us at Blechexpo in Stuttgart. 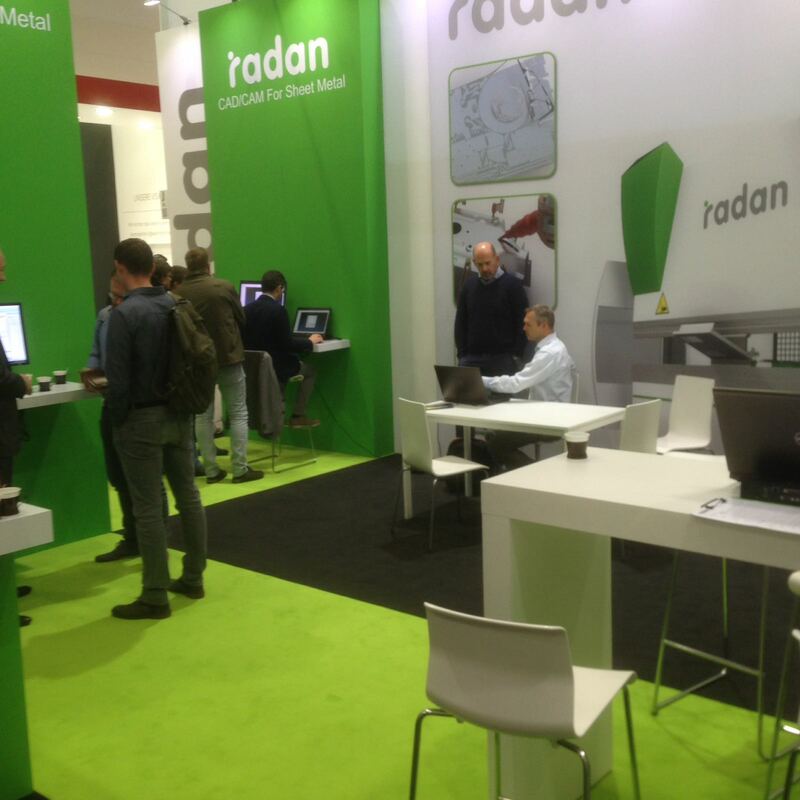 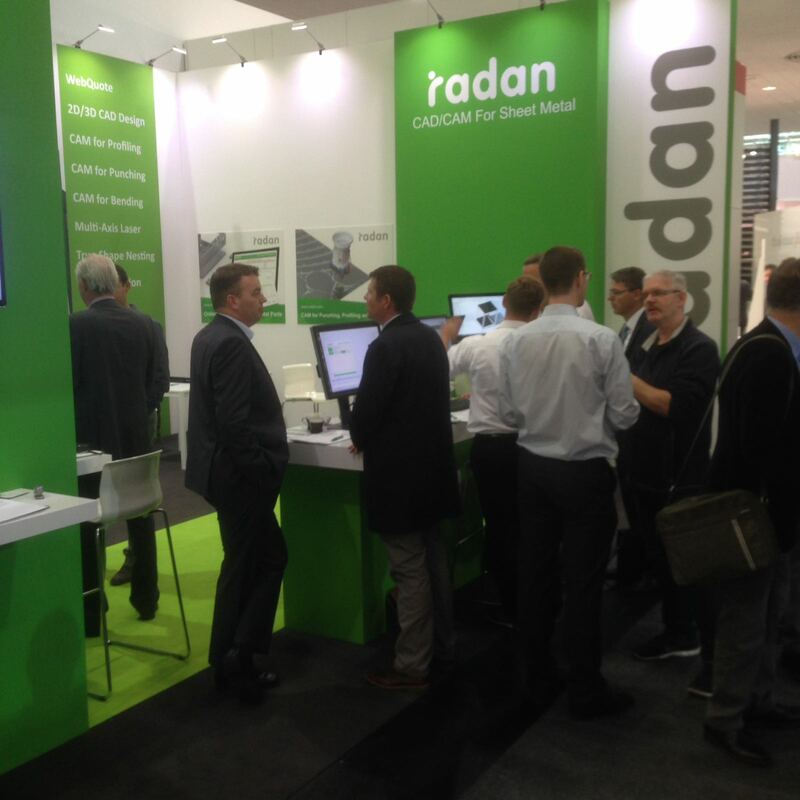 We have informed on our RADAN Stand 1800 in Hall 1 of our CAD / CAM software for sheet metal processing. 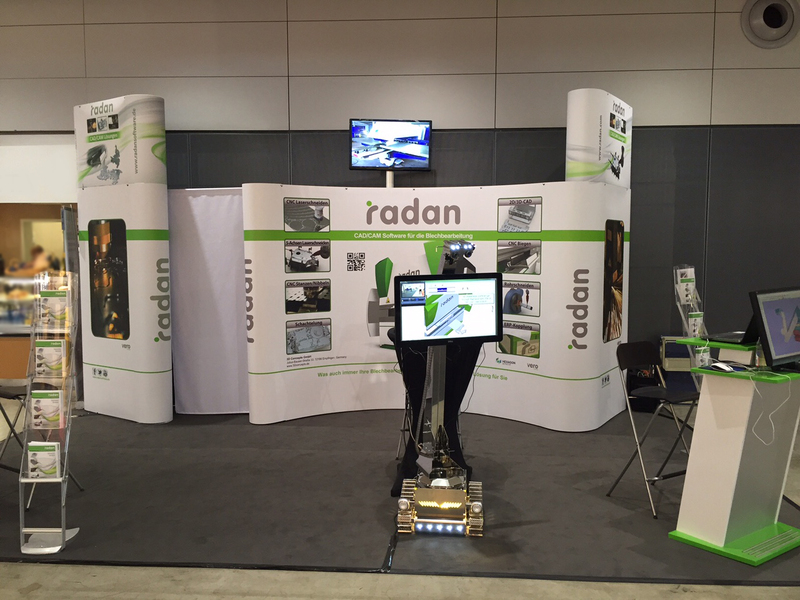 Many people were impressed because of our Radic Robot. 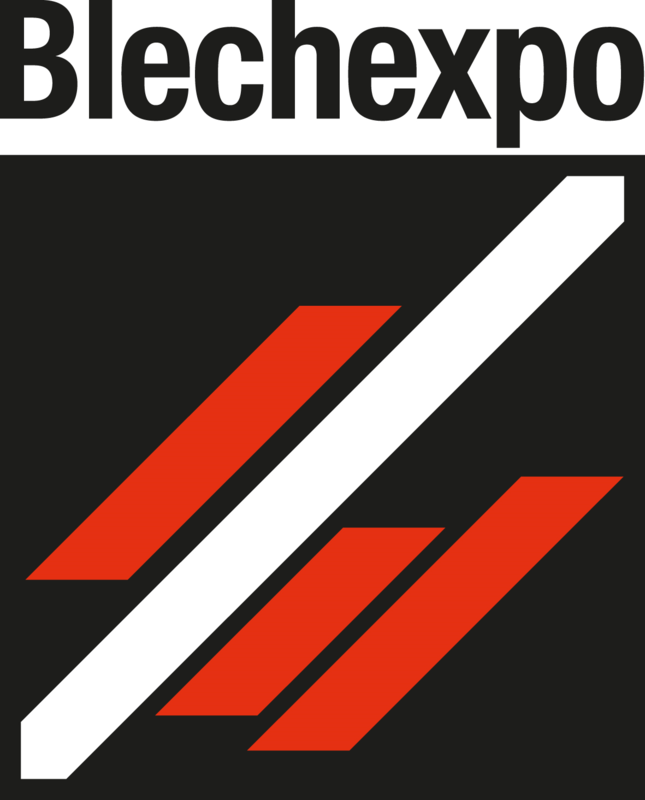 We have not only changed our Homepage, but also renewed our logo! 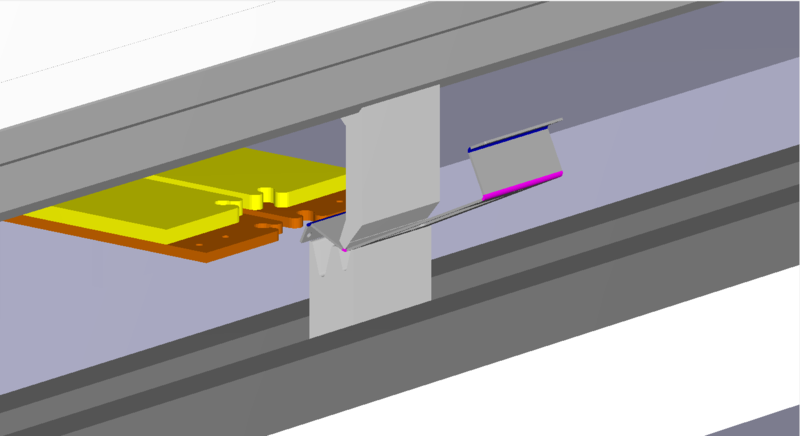 Simple – but not boring. 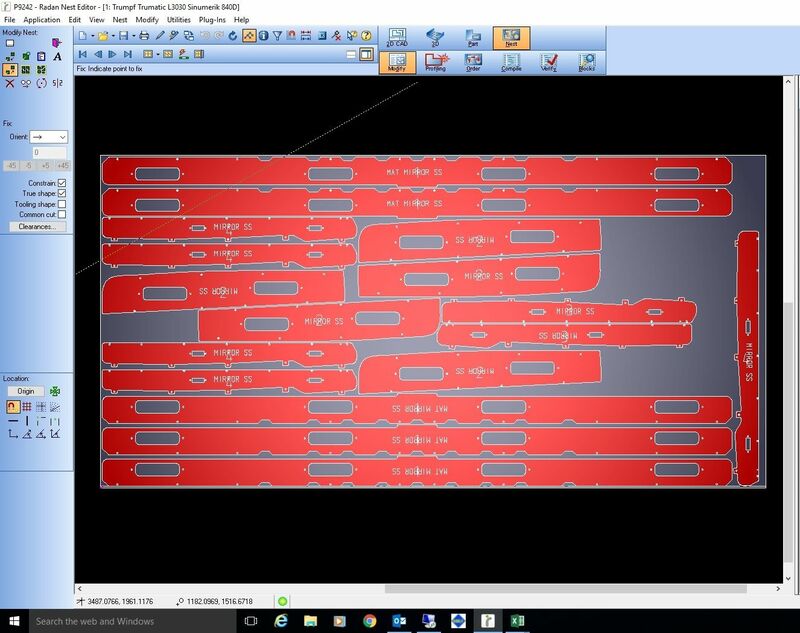 Clearly structured – but still with 3D effect. 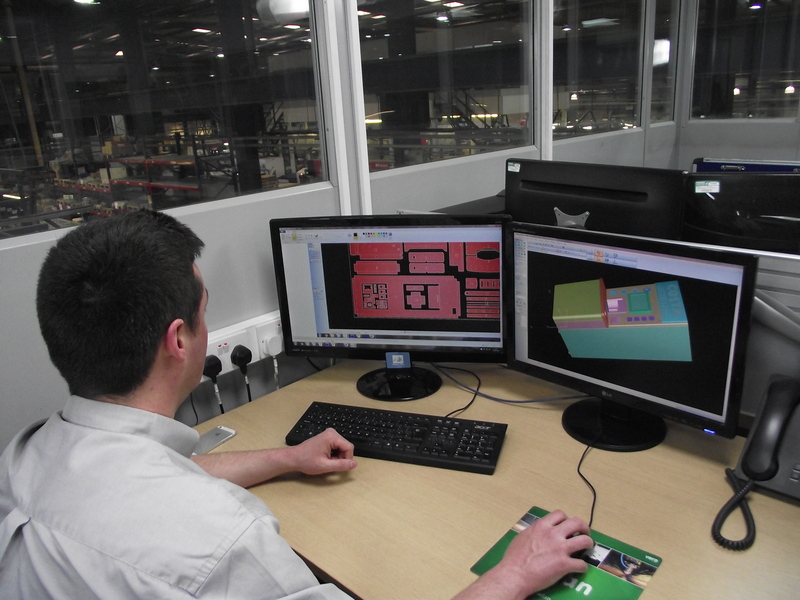 Reflects not only our company again, but also our product. 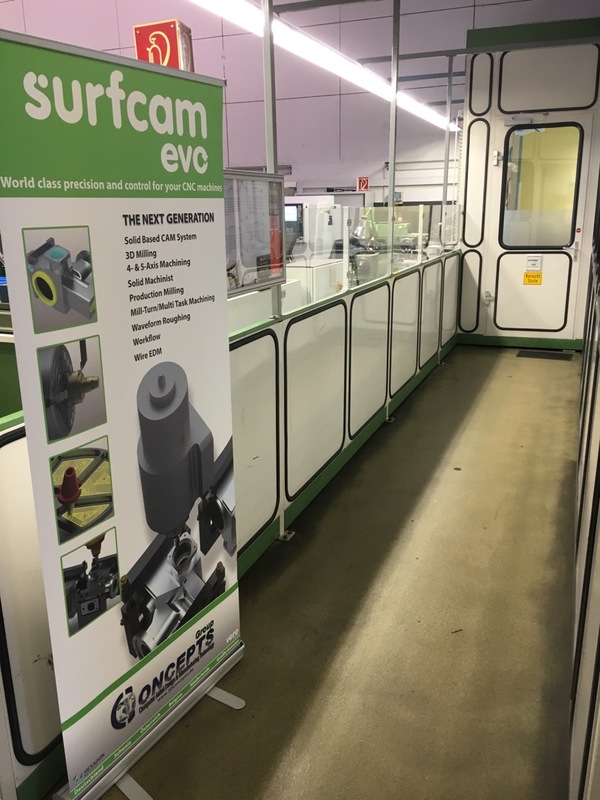 After the positive response to our first events to SURFCAM Evo in the summer, we can offer our customers new Dates! 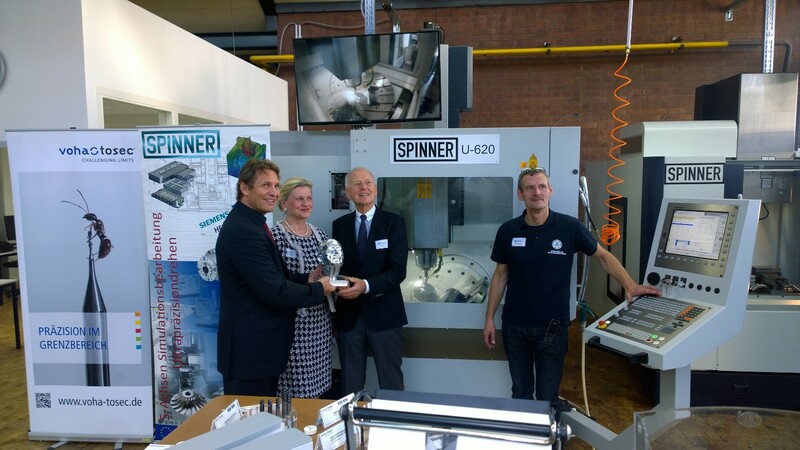 9–10 September 2015, the opening of the SPINNER demonstration centre in Gummersbach in the Steinmüller training centre. 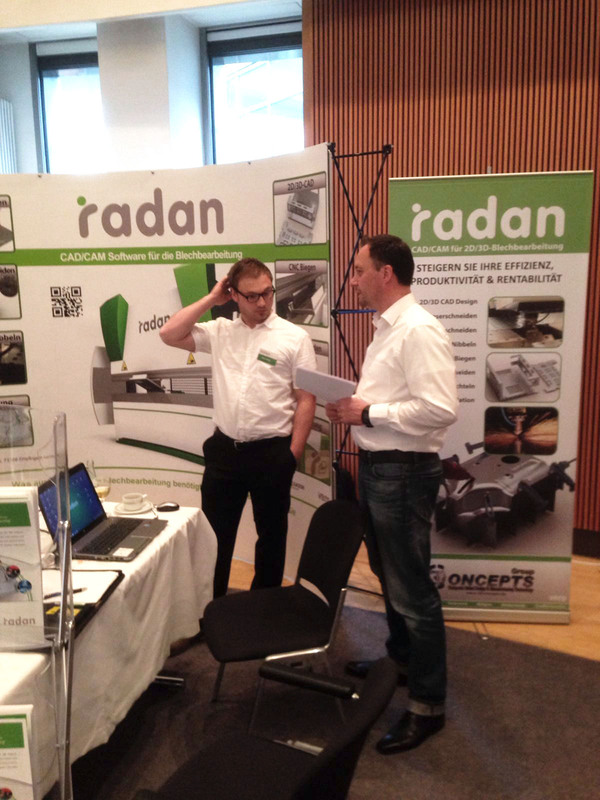 We were on there and have informed you about our software and implementation options. 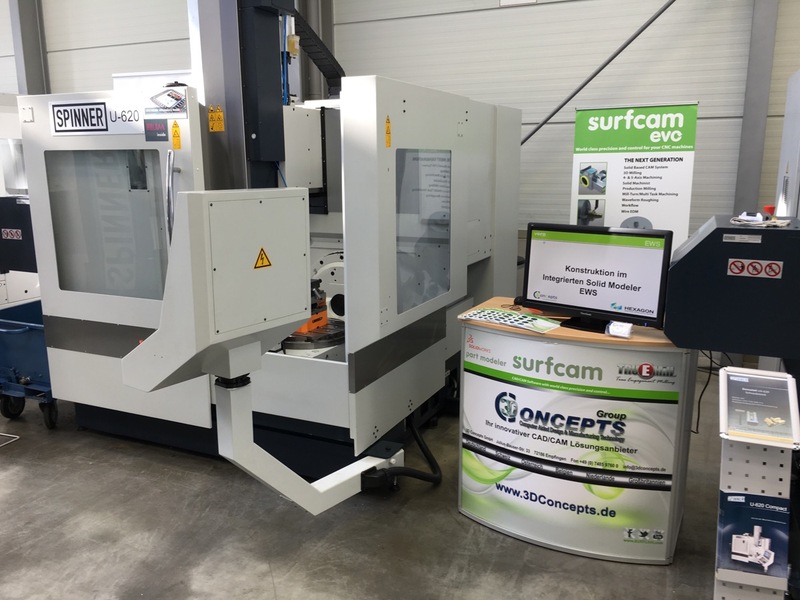 In cooperation with the company SPINNER, we have milled a unique head with our programs and their machines. 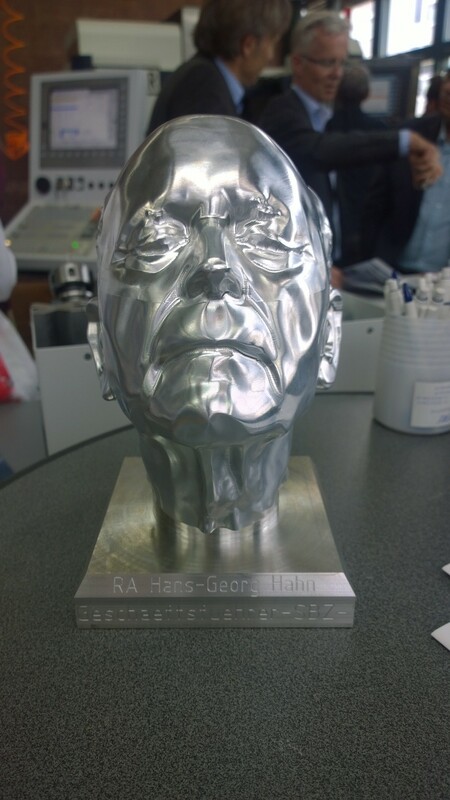 No any head –but the head of Mr Hans-Georg Hahn, Managing Director of the Steinmüller training centre. 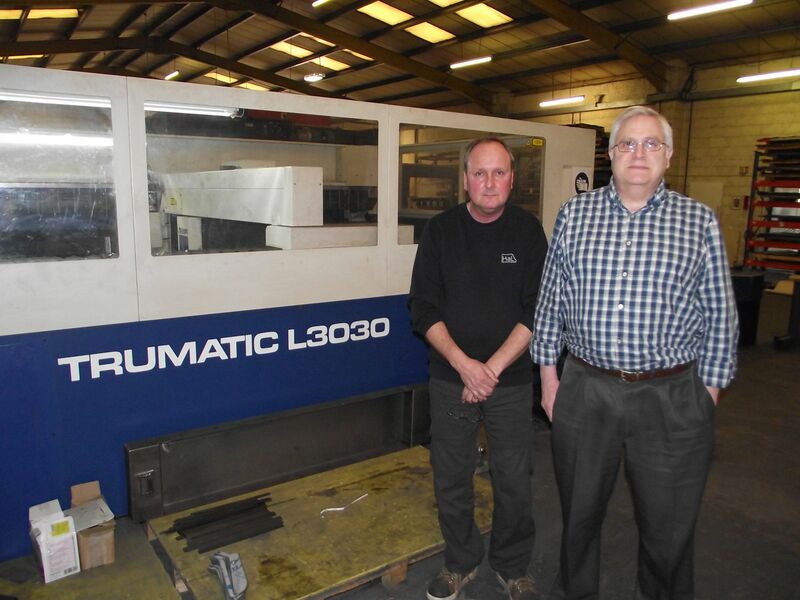 On his way to retirement, we presented him his “own head” and have adopted us thanking him. 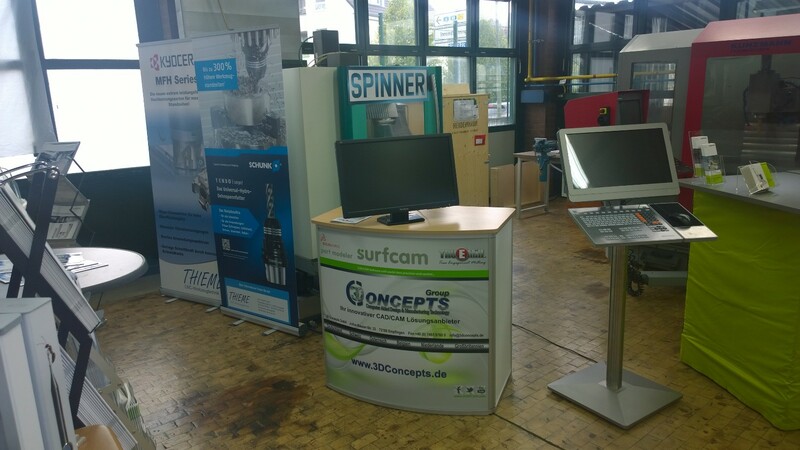 Because of the 15-year collaboration the technology days of the company SPINNER and the company TMK in tool place in Merzenich. 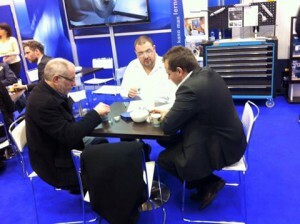 We were there and have informed many customers!